Times Higher Education ranking of some 1250 higher institutions showed that University of Ibadan and Covenant University appeared in the 601 – 800 category. Following the alphabetical order, the authors listed Covenant University before the University of Ibadan. This was thoroughly misunderstood by some who went to town with the tale that Covenant overtook UI. In fact, CU declared itself on its website as the No 1 in West Africa. Few days ago, another ranking of over 28,000 higher institutions was released – this time by the Cybermetrics Lab, a research group belonging to the Consejo Superior de Investigaciones Científicas (CSIC), the largest public research body in Spain. The University of Ibadan came first in Nigeria, first in West Africa and 15th on the continent. The second university in Nigeria is UNN. Interestingly, between UI which came first and UNN which came second is a gap of over 1000 universities. The difference is not only clear but also wide. UI is way higher and far stronger than it appears … and if we take the issue of ranking seriously, within months, we would be where we belong – No 1 in Africa. The report shows that our ranking peaked around October last year, and nose-dived shortly after. 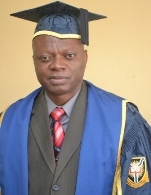 As Professor Remi Raji-Oyelade observed in a group chat, the free fall coincided with the beginning of the on-going strike. This surely will have a telling effect on our ranking this quarter. How we wish the government and its agencies would do what need to be done to avert strikes! Despite the inaction of government, there is a lot we can do to reach and remain where we truly belong. Is your Google Scholar account active and linked with UI? Are all your publications uploaded online in a domain linked to UI? Are your publications uploaded on the Kenneth Dike Library repository? How responsive are we to online inquiries? How up-to-date are the pieces of information on our individual and departmental pages on the UI website? How active is the “Contact Us” tool on the UI website? How detailed and current is the information provided on the website? All these are within our reach if only we would act! And these, more than physical infrastructure, influence our visibility and ranking. Are we ready? If not, why not? If so, let’s go!